The K2 is a multipattern large-diaphragm tube microphone, with a continuously-variable pattern selection via a switch on the power supply. 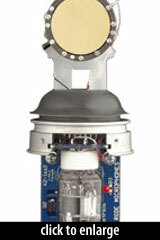 The tube is a 6922 twin-triode, hand-selected and graded at the factory. The amplifier circuitry is Class A. Supplied complete with SM2 Shock Mount and RC2 Custom Carry Case. As a vocal mic, the K2 sounds very classy indeed, and it has been deliberately engineered to be reminiscent of classic studio mics. It is, however, rather quieter than some of these tube classics… I also tried the mic on the usual acoustic guitar and hand percussion, where it turned in a solid performance, combining warmth with evenness of tone. I particularly liked this mic for strummed acoustic guitar played in a pop style, as you get a punchy, no-nonsense result that sounds almost as though it’s been slightly compressed, with no ragged edges. The Classic II and K2 tube (valve) models had true “tube warmth,” yet lower noise than I was used to with my older tube faves. the K2 sounds like a combination of vintage mics. It has smooth, extended top end, fat, round midrange, and solid, thick low end. 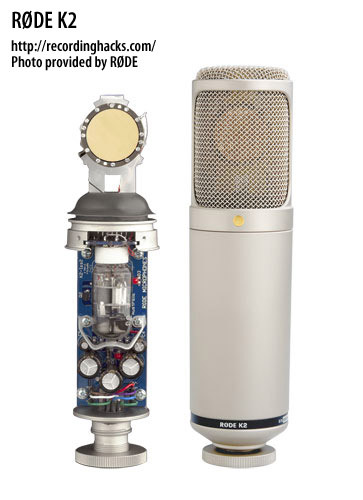 At the 2004 Frankfurt Music Messa, leading music industry magazines voted the K2 the “Best Studio Microphone of 2004”.